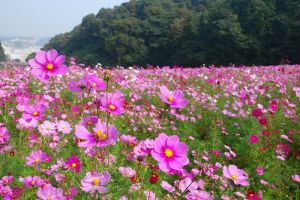 At Kurihama Hanano-kuni Park, a million of beautiful cosmos flowers are in full bloom. During September to November, it is the best season to enjoy cosmoses in Japan. Many people feel autumn by blooming those pretty flowers. From Keikyu-kurihama station, it takes about 15 min. by walk to Kurihama Hanano-kuni Park. How about going out with your family in this mild season? Cosmos festival will last until Oct 29th. Admission fee is free. Parking area is available. On Oct 28th and Oct 29th, cosmos free picking event will be held. There is an elegant Japanese restaurant surrounded by bamboos in Yokosuka Research Park. 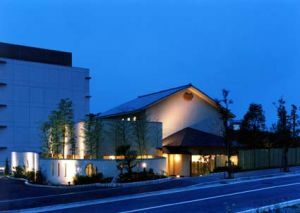 That’s UCHIKURA, a restaurant of soba and tea-ceremony dishes. UCHIKURA has a large space and relaxing mood. You can enjoy Japanese dishes peacefully. Hayama beef menu is also popular. Your whole family will be satisfied surely. After enjoying Hanano-kuni Park, have a good dishes at UCHIKURA.